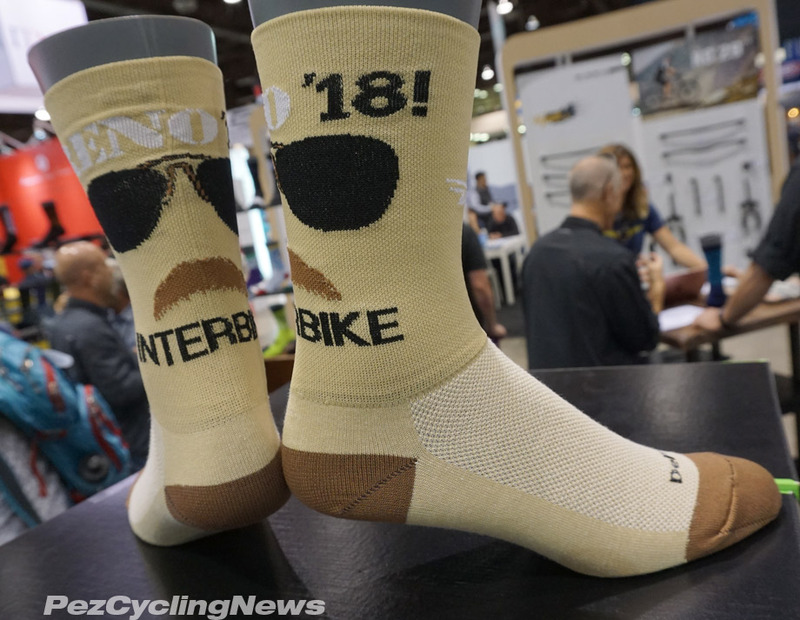 I had the pleasure of sitting on a stool with Paul Willerton of DeFeet Socks at this year's Interbike 2018 in Reno (well, two stools actually), as a guest on the DeFeet cycling podcast, officially known as the Defeet World Podcast. As much as I love to talk, and talk about cycling, we covered a much wider variety of topics. Having run PEZCyclingNews.com as a commercial enterprise from its humble beginnings back in 2002, I've had the chance to talk to, and get to know dozens... possibly hundreds of clients over the years. And while cycling is filled with a lot of great people, like any group worth joining, I've found that within the big group, there's a much smaller few who I really click with. The crew from DeFeet - best known for making some of the best and most fun socks in cycling - are part of this group. Even if we see each other just once or twice a year, at events like Interbike, the Giro or the Tour de France, we bypass the pleasantries and get straight to the good stuff... In this case, where's the best watering hole, Mexican food, or cocktail lounge for after the show. The invitation to join Paul on the DeFeet podcast came a few weeks ago, and while connecting on skype could have made it happen sooner, there's nothing like sitting next to the person you're talking to, and just... talking. So amid the hubbub of Interbike 2018, in a corner of the DeFeet Socks booth, Paul and I miked up. And like any good conversation between friends, our chat followed no predefined path, confined only by the limitations of time and our next appointments. You bet we covered a variety of topics - from why I love negronis so much, to how I started PEZCyclingNews, and a few other topics. If you've ever had an inkling, no matter how small, of what a conversation with either of us might be like - then click play on the official Youtube podcast below and settle in for about 30 minutes of whatever it was we recorded. And if that's not enough talk about socks for you, then watch my video interview below with DeFeet founder Shane Cooper, who shows off the new UNDLite sublimated vests designed by Alexander Julian.